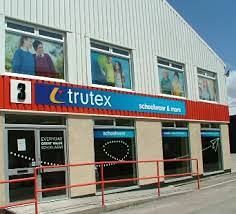 Trutex Schoolwear & More is a local family owned business run by a team of experienced retailers. The company was formed in July 2010 by the ex-management team from Derrys Department Store who were retailing school uniforms for over 30 years. We use a wide range of suppliers to give our customers the very best product at the most reasonable prices. We also stock Scouts, Guides, Brownies, Rainbows, Cubs, Beavers and offer parents a school delivery service. Since opening in 2010 we have established a reputation for friendly, helpful service and have many loyal regular customers. We now supply uniform to over 40 schools. Our extensive range is unrivalled in Plymouth. We stock everything you will need to fit out your child ready for the new term. See our schools list page..